What is your exchange policy and procedures? What is my package arrives damaged or incomplete? What if my order is really large or overweight? Can you do special orders for me? Do you sell products for resale? Where's your copyright and disclaimer? All Merchandise Sold on this Website Carries the Manufacturer Warranty Only. When Accepting Delivery of any Merchandise purchased through Capital Audio Electronics, the package should be inspected for damages and so noted on the Delivery Manifest. All Shipments from Capital Audio Electronics include insurance through the Common Carrier for damages. However, any such damage must be indicated at the time of delivery and signature of delivery receipt. Upon any occurrences of damaged merchandise, short shipments, or non-operable equipment, Please Contact Capital Audio Electronics for information regarding claim submissions for damaged merchandise, and service center information for repairable merchandise. If a Service Center deems any product non-serviceable, Please contact us with the appropriate documentation from the Service Center. Product must include all Original packaging and manuals in an As-New condition with Warranty Cards (not filled out) and any accessories. A Return Authorization Number (RA) must be obtained by Calling our Internet Sales Staff @ 888-300-9859 as indicated under RA Procedures. All Returns and Exchanges require a Return Authorization (RA) number. Please note that an RA number does not guarantee final disposition. To Obtain an RA Number, Please Call an Internet Sales Specialist Toll Free @ 888-300-9859 or in NYC @ 608-3720. All returns are subject to inspection upon return delivery. All exchanged and returned merchandise must be in original factory condition, including all packaging materials, inserts and manuals, warranty cards (not filled-out) and all accessories. Please do not tape or write anything on the item or the package. We reserve the right to refuse any such returns. NOTE: Capital Audio Electronics is NOT Responsible for any Merchandise that is Returned to our Warehouse without an RA Number. These packages will be disposed of at our discretion. Advise the carrier's representative that there is physical damage (or a shortage) and note the damage (or shortage) on the air bill or delivery manifest (all damage/shortage must be stated on the air bill or delivery manifest, no damage/shortage claims are accepted AFTER the delivery has been made). Do NOT sign the air bill stating that the merchandise was received in "Good Condition"
In most cases, repairable merchandise is repaired under the manufacturer's warranty at a local service center or the carrier issues payment for the damaged shipment. We do our best to get your merchandise to you as soon as possible. We normally can process your order within 2 working days (we ship Monday thru Friday). Actual delivery depends on where you are located, but you can expect your order within 3 to 10 days after it has shipped on in-stock merchandise. 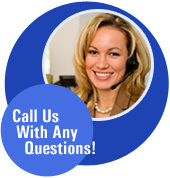 For further shipping options and or times, please call our Internet Sales Staff. Capital Audio Electronics reviews all orders before shipping to ensure the merchandise can be double packaged and shipped safely undamaged to you. In the event that a product ordered is too heavy or too large under the current shipping arrangements and charges, we reserve the right to contact the customer and arrange for proper shipping arrangements and charges. In the event shipping charges on an order are greater than actual shipping charges incurred, an automatic credit will be charged to your account. Special Orders can be placed for items that are not currently available on our website. Please Call an Internet Salesperson for any Special Orders @ 888-300-9859. These orders will be charged in advance and shipped when the product arrives. We fill Special Orders using FIFO (First In, First Out) based on the date the Special Order was charged. Special Orders may not be canceled or returned. For All Electronic Web Orders, We accept American Express, VISA, MASTERCARD, and DISCOVER Credit Cards. Please contact an Internet Salesperson for details on other payment methods @ 888-300-9859. Management reviews for accuracy all orders before processing. If there is a discrepancy, we will contact you via either email or telephone before we accept and ship an order. Upon acceptance of an order, your credit card will be charged. Upon credit approval from your Credit/Debit Card Company, we will verify the shipping address. If the shipping address does not match your credit card's billing address, you must notify your credit card company that you wish to place an "Alternate Shipping Address" on your account. We will contact your bank and verify the complete name, address, phone number, and alternate shipping information. Please Note, Alternative Shipping Addresses are acceptable as long as the address is listed on the credit card account. Please call for details. Capital Audio Electronics does NOT Accept Electronic International Orders. Any International Orders placed through the website will be discarded. Please contact an Internet Salesperson for further details on International Orders and Shipping. This site is firewall protected and is encrypted using the latest SSL encryption technology. We believe in securing your private information and have gone to great lengths to ensure the integrity of our system. If you are an on-line seller, or if you are interested in purchasing our products for resale, please contact our Corporate Sales Department @ 1-800-227-0825. Due to certain territory and brand restrictions, some items may be unavailable for resale. All material on capitalaudio.com is protected under the copyright laws of the United States and international law and is the property of Capital Audio Electronics. Material may not be reproduced without prior written permission from Capital Audio Electronics. LG Design and Life's Good are trademarks of LG Electornics, INC.
Capital Audio Electronics shall have no liability to you or any third party under any legal theory for special, incidental, indirect, exemplary or consequential damages arising from shipping delays or errors, system downtime, loss of data or any economic loss, damage or expense arising out of or relating to the placement or fulfillment of your order, or the use of or inability to use the products, and in all cases our liability is limited strictly to replacement, repair or the value of the products purchased. Since state laws vary, certain parts of this disclaimer may not apply to you. Capital Audio Electronics is not responsible for typographical or photographic errors that may appear on our web site. Orders are subject to acceptance and availability. We reserve the right to make adjustments or corrections due to changing market conditions, product discontinuations or typographical or photographic errors. Policies, item availability and prices are subject to change without notice. We reserve the right to limit quantities on certain items. Television and Monitor sizes are determined by their diagonal viewable area.